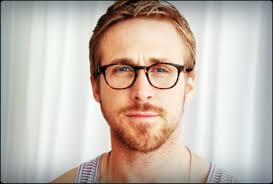 Ryan Thomas Gosling (born November 12, 1980) is a Canadian actor, director, writer and musician. He began his career as a child star on the Disney Channel's Mickey Mouse Club (1993–95) and went on to appear in other family entertainment programs including Are You Afraid of the Dark? (1995), Goosebumps (1996), Breaker High (1997–98) and Young Hercules (1998–99). His first starring role was as a Jewish neo-Nazi in The Believer (2001), and he then built a reputation for playing main roles in independent films such as Murder by Numbers (2002), The Slaughter Rule (2002), and The United States of Leland (2003). Gosling came to the attention of a wider audience in 2004 with a leading role in the romantic drama The Notebook, for which he won four Teen Choice Awards and an MTV Movie Award. His performance as a drug-addicted teacher in Half Nelson (2006) was nominated for an Academy Award and his performance as a socially inept loner in Lars and the Real Girl (2007) was nominated for a Golden Globe Award. Also in 2007, he starred in the courtroom thriller Fracture . After a three-year acting hiatus, Gosling starred in Blue Valentine , earning him a second Golden Globe nomination. 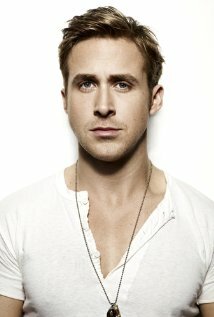 2011 proved to be a landmark year for Gosling as he appeared in three mainstream films – the romantic comedy-drama Crazy, Stupid, Love , the political drama The Ides of March and the thriller Drive – and received two Golden Globe nominations. In 2013, he starred in the crime drama Gangster Squad , the generational drama The Place Beyond the Pines , and the violent revenge film Only God Forgives . His directorial debut Lost River was released in 2014. Gosling dated his Murder by Numbers co-star Sandra Bullock for a year from 2002 to 2003. He also dated his The Notebook co-star Rachel McAdams from mid-2005 to mid-2007. In September 2011, Gosling began dating his The Place Beyond the Pines co-star Eva Mendes. They have a daughter, born September 12, 2014.